Who doesn’t know Maser, the street artist who grew up in Ireland? We wrote about Maser’s noticable murals before on this blog. One of his murals has been making the news again this summer. 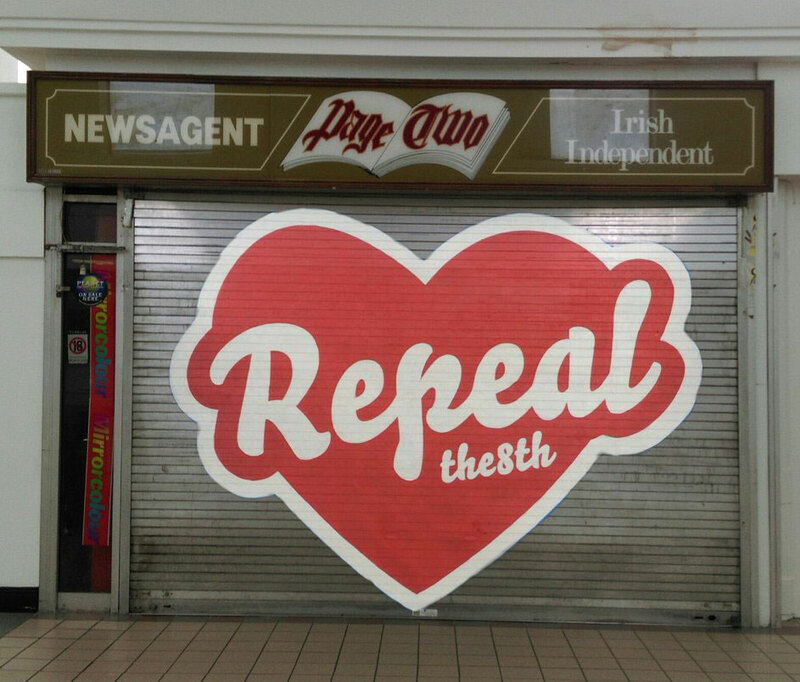 During the current campaign for repeal of the Eighth Amendment (abortion ban) in Ireland, things got wild this summer after the Dublin City Council Planning Department demanded a mural from the Irish street artist Maser to be removed. His work would violate planning regulations, so they decided to paint the wall blue again. In the short time before being painted over, the mural had enough impact to stir up controversy and debate. 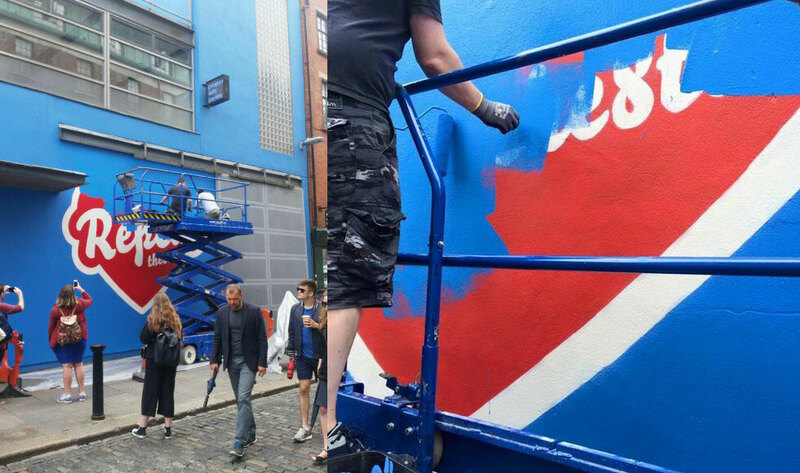 Well, actually removing the mural and painting the wall blue again resulted in a strong and widely supported counteroffensive. Various people started to recreate the mural on other locations throughout the city, and later on throughout the country. Seriously, how many murals or grafittis have that honour? Some other people were clever enough to bring the mural back to its original wall, but then through augmented reality. On the pretext of “You can’t paint over an issue”, a QR-code brings back the mural if you point your phone to the meanwhile completely blue wall. Even better, the mural can virtually appear everywhere, once somebody glued the QR-print to the wall. 8mural.com: Technology for the win. 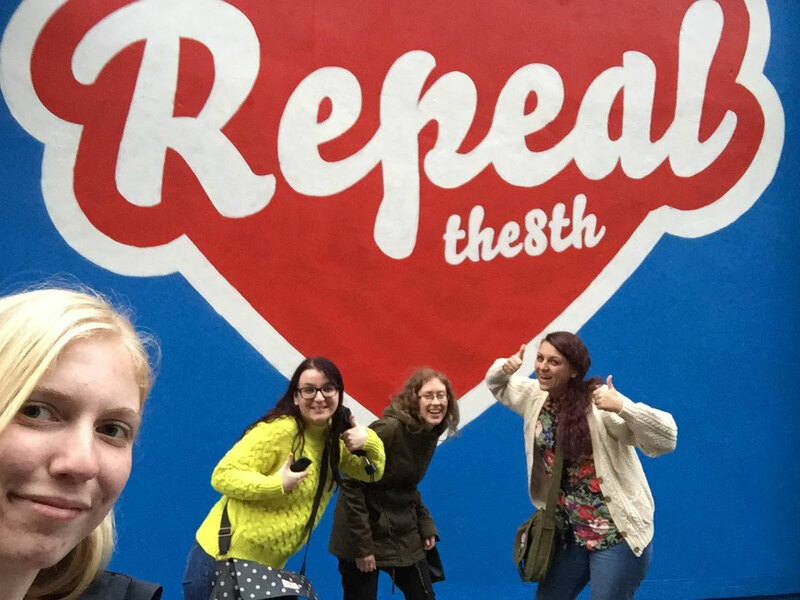 The mural ban paved to way for mementos, nicknacks, t-shirts, bumper stickers, buttons, people changing their social media profiles, all showing the removed mural. 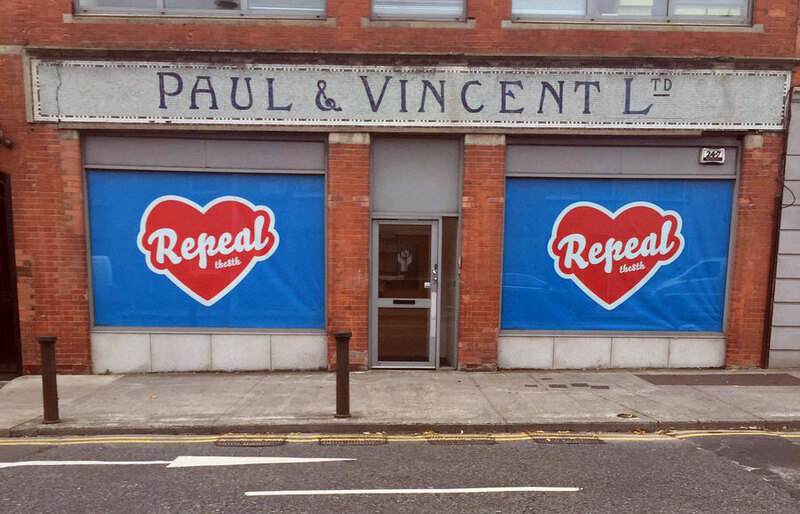 Anything which helps to keep the campaign alive and raise awareness for the 8th Amendment suddenly popped up. 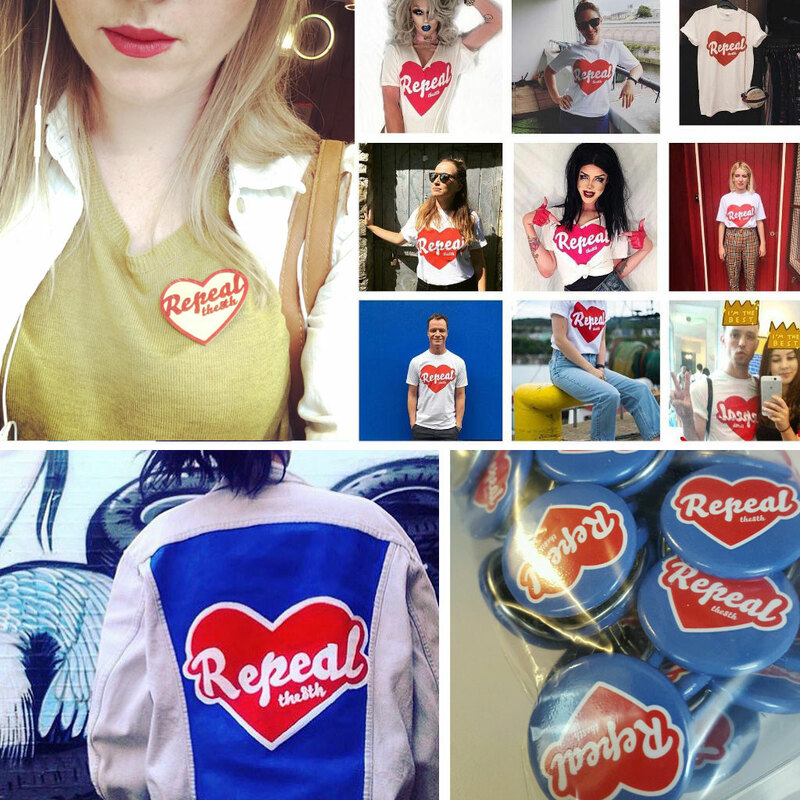 We don’t have any political voice in Ireland, but we are more than happy that Bello is helping the campaign with its visual voice. That feels like a small contribution after all. More images at our fonts-in-use section.